Porcelain Raft is set to release his debut album ‘Strange Weekend’ on Secretly Canadian on Jan 24. 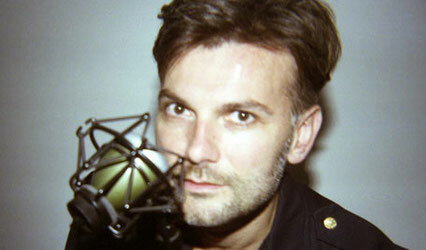 ‘Strange Weekend’ is Porcelain Raft's debut record, yet in many ways it's his 156th. Somewhere in New York, Rome, or maybe London, there is a suitcase full of tapes, minidiscs and CDs — days and days worth of music, all of it the result of Mauro Remiddi's 27 years of travels across Europe — from his native Italy to London; of caravanning with the Berlin Youth Circus playing traditional gypsy Klezmer music; of reinterpreting traditional music in North Korea; and of a stint playing piano for an Off Broadway tap dance show. At this point, Remiddi has lived three musicians' lifetimes. ‘Strange Weekend’ - with deep roots in so many times and places - is an album that beautifully captures the fleeting right now. Remiddi's interest in movement — about capturing a momentary now en route to the next — is apparent; postcards and polaroids of buildings and faces from the street flicker past. The project's genesis lies in this visual imagery. Over the past year, Remiddi has compiled a catalogue of images — gathered from the various nooks and crannies of the internet — that have served as notes, inspiration, context and a map for Porcelain Raft's music. Remiddi's androgynous vapor of a voice weaves like a ghost between Nick Gilder and The Alessi Brothers, Julee Cruise and Judee Sill. In more contemporary terms, Porcelain Raft stands confidently on a high hill between the sounds of M83 and Beach House. Lead track ‘Drifting In And Out’ is loping and anthemic; gauzy and chiming. ‘Shapeless And Gone’ follows with a heavy strum reminiscent of ‘Cosmic Dancer’ — full of mood and style without all the wearying excesses and feathered boas. Porcelain Raft's thesis statement hits when side B kicks off with ‘Unless You Speak From Your Heart’. Remiddi's enigmatic vocals carrying a hook so simple that you might think you sang it first; keys and bass that might make the needle jump off of your turntable; and a sense of raw sincerity that has come to trademark Remiddi's songs is what ultimately resonates. And here, the myriad travels crystallize into something visceral; you may not be able to see the visuals Remiddi holds so dear, but you can feel them throughout ‘Strange Weekend’, and they stay with you as you travel on. ‘Strange Weekend’ might have been made in a small place (a Brooklyn basement, in fact), but it is huge dream-pop, with melodies and synths billowing out in all directions.